From the impending sound of machine gun fire flying by, to an enemy ship passing overhead, to the easily distinguishable clatter of the floor boards as you disable your enemies electronics with an EMP – adding a high performance surround sound system to your video game console will provide you a brand new and exciting gaming experience. With today’s games being made like blockbuster movies, where developers pay a lot of attention to ambient noises, soundtracks, dialogue and heavily rely on the element of sonic surprise more than ever before, the bar keeps rising and rising. If you’re an avid gamer looking to get the best possible gaming experience, whether solo or multi-person gaming sessions, having a surround sound installation or an entire home theatre system to play on can be an incredibly valuable level-up. As Steven Spielberg put it: “Sound and music make up for more than half the communication in the story, greater even than what you’re seeing.”- and the same can be applied to video games. So as you sit down to play the newest FPS like Call of Duty, or Battlefield 1, you’ll find yourself lost in the directional audio prompts which are designed to provide a more detailed picture of what’s happening around you. War planes passing by and being heard as if they were truly flying over your head. The distant sniper can be heard and it’s easier to pin-point their location. You’ll be able to correctly locate the ticking of bombs and mines about to blow up, and you’ll feel explosions and the sound your RPG makes against your shoulder as you take down an enemy tank. On the other hand, there are games that have spectacular audio elements and soundtracks. Guitar Hero Live, for instance, can become a great bonding activity for the entire family on Sunday nights, as you’ll all feel the kick of the bass drum and groove it with your loved ones. 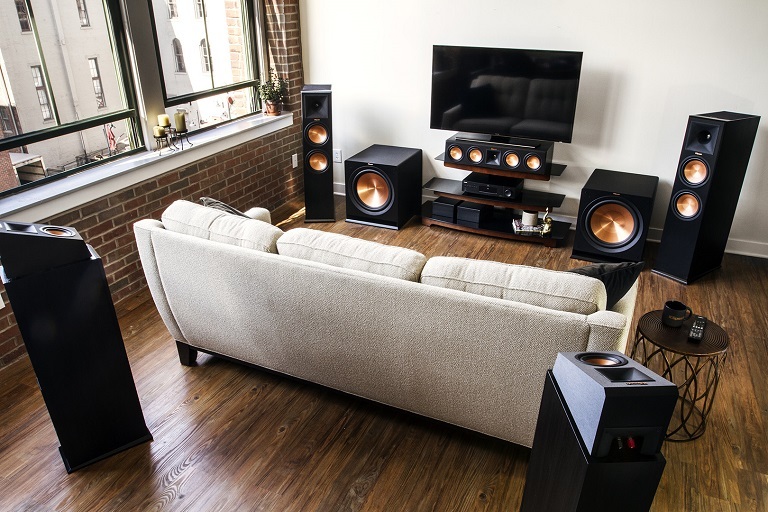 There are just so many great things about having a surround sound installation in your home, even if you aren’t an avid gamer. You can still watch the newest movies and feel like the action that’s in front of you on the screen is happening all around you. And while it isn’t the cheapest thing ever, a home theatre system and a surround sound system can be a very worthwhile investment if you’re an introvert and likes spending most of their free time at home, watching movies or playing video games.